I swear, she and Kajol are aging in reverse. They both look so dang good!! I agree, Kajol also looks beautiful and hasn't seemed to age that much either. I think she was the best looking person at the Filmfare Awards (her dress, hair, and makeup were very pretty). Aish in a sari at a recent event. I love the sari and the flowers in her hair. She's confirmed to walk the Cannes Red Carpet this year, and I can't wait to see her outfits! She looked great at last year's red carpet. At a discussion for the UN Panel about gender equality on May 16, 2015. I don't like the dress, but her face looks gorgeous. So beautiful! I think this is my favorite Cannes look of hers of all time. I looooooove EVERYTHING about that flowery dress look. She's so beautiful. 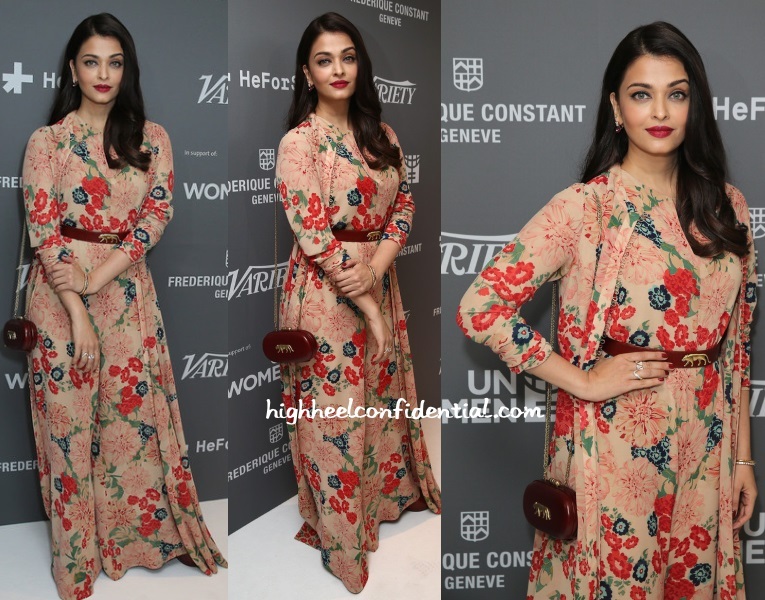 I'm not at all fond of the Sabyasachi floral jumpsuit. 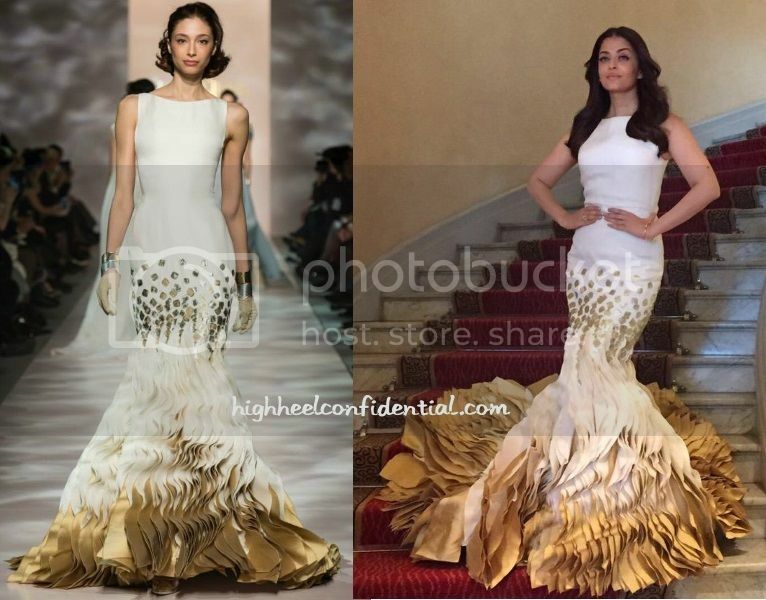 This is definitely an outfit that could overwhelm but Aish is wearing the outfit ad not the other way around. I like the Elie Saab gown but just wish that it wasn't sheer. If it had all ben lined, it would have been a perfect look. The colour looks great on her. She's really hitting it out of the ball park this year at Cannes. Even the outfits I'm not too fond of (floral jumpsuit, white blouse with the wide pants at the press junket) have not been too bad. Continuing her winning streak, here's another gown that I absolutely love.